Hanoi – Ninh Binh – Hue – Hoi An – Nha Trang – Da Lat – Ho Chi Minh. 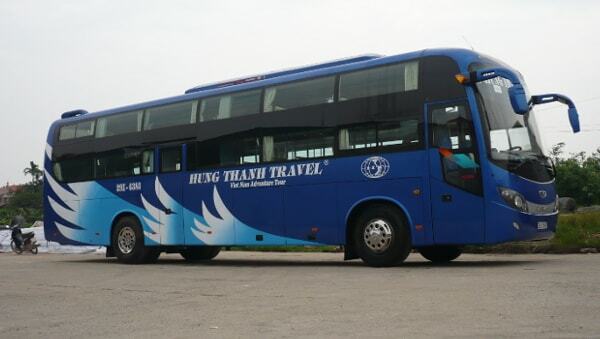 In recent years, Hung Thanh Bus has grown to become one of the quality bus (coach) company for tourist. Headquartered in Hanoi, Hung Thanh Bus focuses on developing transport networks to the northwest provinces of Vietnam such as Ha Giang, Son La, Lai Chau, Dien Bien and especially Sapa (Lao Cai). To the south, Hung Thanh Bus is one of the first companies to provide open bus service, serving tourists to the famous attractions of Vietnam stretching from Hanoi to Ho Chi Minh City. Note: There's only Vietnamese language has updated, English language page has not updated. The website not easy to find information or book tickets. 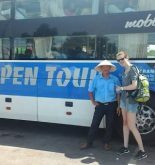 Therefore, you should buy tickets directly at the ticket offices of Hung Thanh bus company, or booked through travel agents, or buy at the hotel if they selling Hung Thanh bus ticket. For more information about the route and fares between destinations, visit Hung Thanh company website.